This is the most recent information about Young Rascals that has been submitted to amIright. 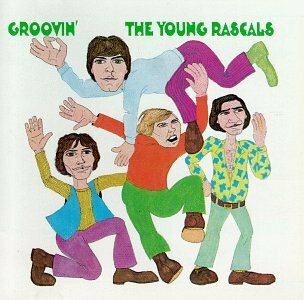 If we have more information about Young Rascals, then we provide a link to the section where it appears (the actual page whenever possible). "How Can I Be Sue" originally "How Can I Be Sure"
I don't even look a bit like her. "God Lovin'" originally "Good Lovin'"
"Goo Lovin'" originally "Good Lovin'"
"People Got To Be Freed" originally "People Got To Be Free"
"People Got To Be Freer" originally "People Got To Be Free"
"How Can I Be Sucre?" originally "How Can I Be Sure?" I don't think you CAN be the capital of Bolivia. "How Can It Be Sure?" originally "How Can I Be Sure?" "How Can I Be Pure?" originally "How Can I Be Sure?" "Now Can I Be Sure?" originally "How Can I Be Sure?" "How Can I Be Sore?" originally "How Can I Be Sure?" "People Rot To Be Free" originally "People Got To Be Free"
"People Got To Be Tree" originally "People Got To Be Free"
The Young Rascals How Can I Meet Her? The Everly Brothers How Can I Be Sure I Meet Her? Spencer Davis Group How Can I Be Sure I'm A Man? As least that's what the Crips call 'em. You and me and Elvis see. My teenage daugher, Beth, was actually the one who 'misheard' these lyrics. I was driving and when she sang along with the radio I questioned what she had said. When I enlightened her as to the real lyrics we had an hysterical laughing episode. Now can you tell me, tell me, tell me, what's ailin' me?" "How I Ban Secure" originally "How Can I Be Sure?" "People Got To Free Bea" originally "People Got To Be Free"
"People Got To Free Bee" originally "People Got To Be Free"